As a special promotion Mike is now giving away one of his books free of charge for those of you with an eReader. 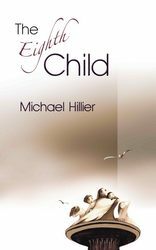 The free book is The Eighth Child and is available for download free of charge from all good online eBook stores using the links listed below. If you enjoy this book and want to read another also for free follow the link in The Eighth Child to subscribe to Mike’s monthly information emails and he will send you the link to download The Mafia Emblem.